A woman died in a crash on I-95 early Saturday morning in Martin County. 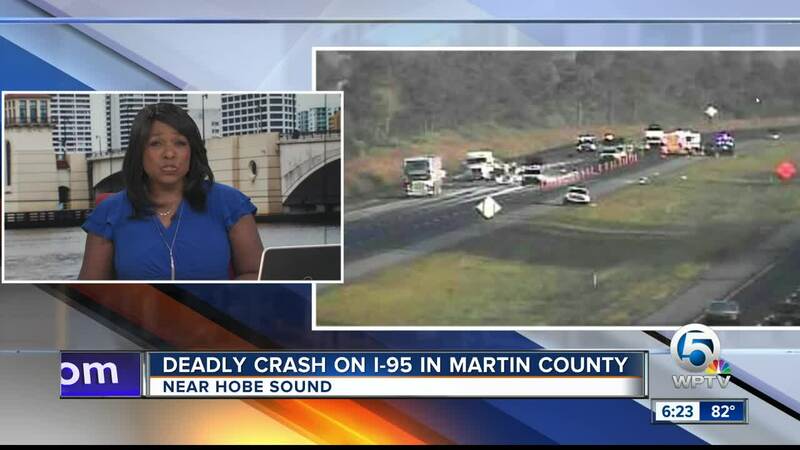 MARTIN COUNTY, Fla. -- A woman died in a crash on I-95 early Saturday morning in Martin County. 69-year-old Beverly McDonald of Duxbury, Massachusetts was driving northbound on I-95 near mile marker 94 near Hobe Sound at 5:30 a.m.
McDonald veered her 2012 Jeep Liberty to the left into the median and onto the southbound lanes where she struck the left rear side of a 2016 Mack semi truck. After the collision, McDonald's Jeep came to rest in the median. McDonald died as a result of her injuries. The driver of the truck was not injured.